For those not ready to take the collar plunge, go halfsies with this funky necklace. 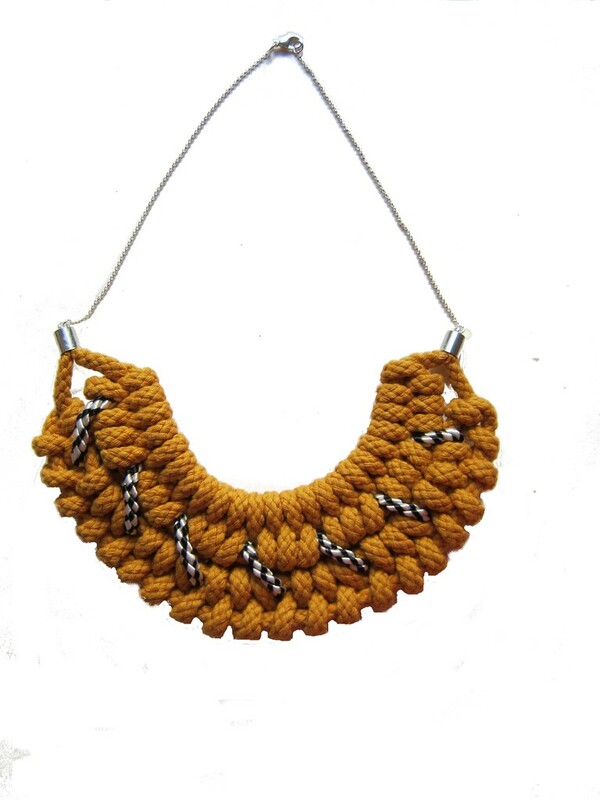 Mustard yellow rope handknotted into a necklace. Black/white rope woven throughout. Base metal chain, end caps, with lobster clasp closure.